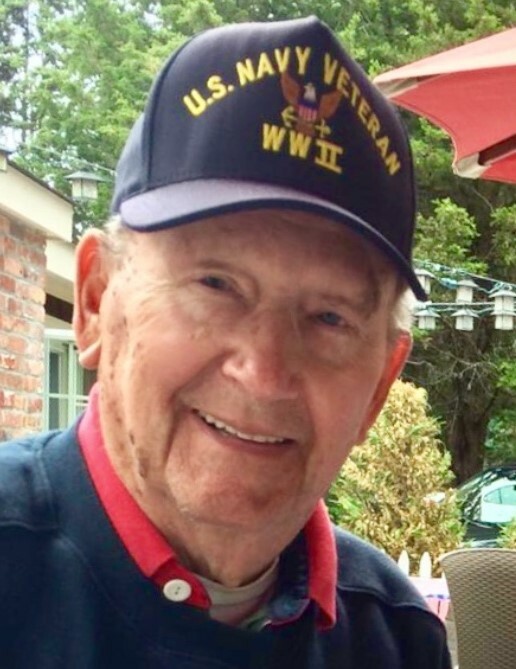 Richard J. Burke, Sr. of Eastchester, NY and formerly of Mt. Vernon, NY passed away on Friday February 1, 2019. He was born in Mt Vernon on February 15, 1927 to Jane and John Burke. Loving father of Richard Jr., Randy, Robert and Robin (Nick) Gagliardi; cherished grandpa of 8 and great grandpa of 11; also survived by many nieces and nephews. Richard was predeceased by his beloved wife Rose in 2013 to whom he was happily married to for 66 years; also predeceased by his brother John and sister Virginia. He is a proud WWII Veteran serving our country in the US Navy. He was rarely seen without his veteran’s hat on!! Richard retired as a Sgt. With the Mount Vernon Police Department. He was also a licensed electrician. He will be remembered for his love of family, guitar playing, road trips and for his enormous sweet tooth. He was everything good, an honest hardworking man who always made his family his top priority. He was a gentle soul whose passing has left us with broken hearts. Family will honor Richard’s life on Monday February 4, 2019 from 4:00 – 8:00 pm at Yannantuono Burr Davis Sharpe Funeral Home, 584 Gramatan Ave, Mt. Vernon, NY. Funeral Mass 10:00 am Tuesday February 5, 2019 at Sts. Peter & Paul ~ St Ursula’s Church, Mt Vernon. Interment at Gate of Heaven Cemetery.